Styled with ray pant and nathaniel sweater . 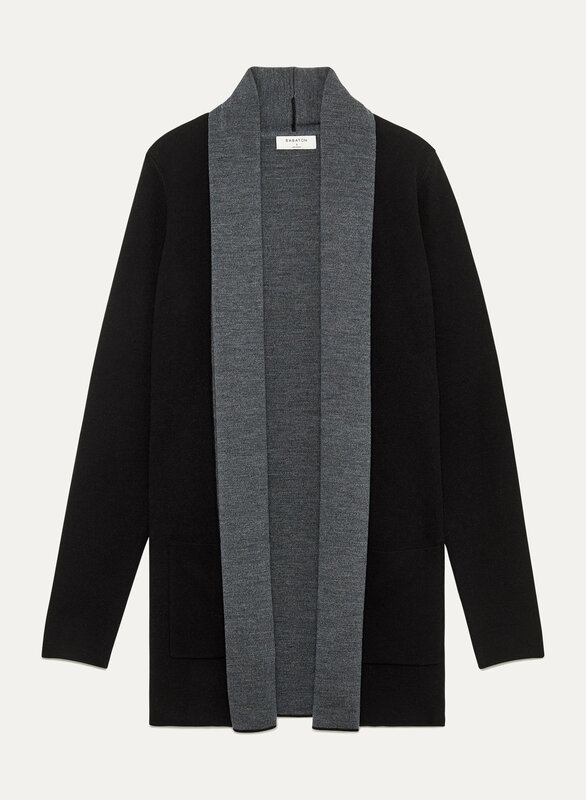 This is a signature Babaton piece made from superfine merino wool (we added spandex plaiting for shape retention). 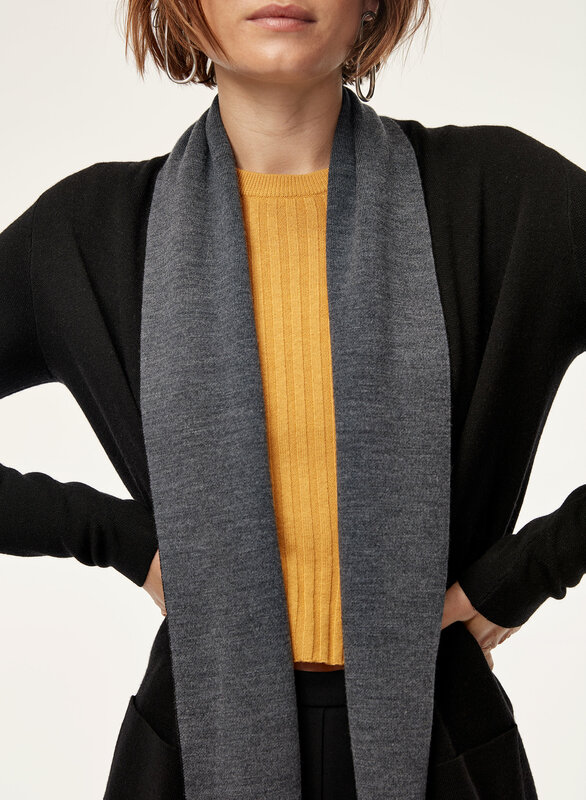 The Beekman's luxurious yarn is warm yet lightweight, which makes it great for layering, while its fluted design guarantees a flattering fit. Got this in the rose mauve colour and I love it. It just pills way too easily though which is so annoying and makes me not want to wear it as much. I still like it though and I like that it has pockets. Fits tts. I was scared that it was going to fit over sized on me but it was perfect! So many compliments. So soft!! And it looks great at work too. She loves it. Put it on immediately after opening it and didn’t take it off! Has a nice weight, is very warm and soft. Has a very polished look. Soft and cozy but stylish! I love these sweaters. I would give it 5 stars if they didn’t pill as easily. 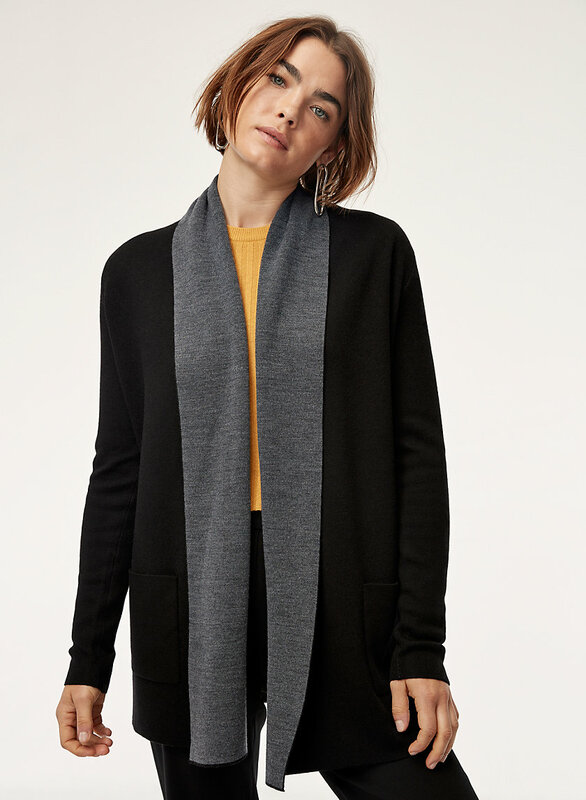 Super warm and cozy sweater and great material that doesn’t pill. It’s a great black color and hangs really nicely. Long enough to wear with leggings too. I have a sweater in black and grey. It is so well made. The texture is smooth, light yet warm, does not wrinkle or ball. Pockets make it even better. A winner, for sure. I got great comment from coworkers when I wore it. It's has a lovely fit, and is warm enough to wear on a cold office place! Great sweater. Super comfortable but does pill a bit after one wear. I love it. It keeps me warm. I can wear it with any blouse.It is perfect for the office too.